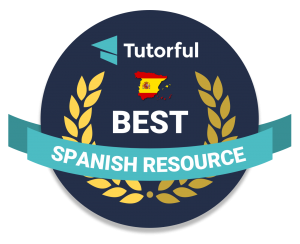 For the last couple of weeks, I’ve spent my lunchtimes getting rather hot and bothered rehearsing three dance routines in Spanish with a group of Key Stage 2 pupils at WCPS in preparation for an excting challenge. Following on from the success of Take Ten en français,(see Jo Rhys-Jones’ blog post for more details) Devon Education Services is developing Take Ten en español, and we were asked to take part. I know – Sutton Coldfield is miles from Devon but it all happened after an ‘on the hoof’ chat with Chris Wakeley at Primary Languages Show last year when Jo Rhys-Jones volunteered my services! Take Ten is ‘a fantastic little resource from Devon Education Services. It’s a handy pocket-sized book full of games and activities that can be used as PE warm-ups or more sedately in the classroom as Brain-gym exercises.’ The English translation is alongside the Spanish and it links languages and physical activities, neatly addressing two initiatives at once! So, along with five Devon schools, at the start of term we received a DVD and CD with our three dances. When I asked in assembly for volunteers, half of Key Stage 2 wanted to join in – then they saw the dances and quite a few dropped out. Having said that, there were 36 stalwarts and it was SOOO hard to choose the final team of 10 – but choose I did and this morning, the big day arrived! Tracy Adams and Simon the cameraman arrived from Devon and we set to work dancing our socks off, resplendent in our Take Ten T-shirts. I’m just glad that I was dancing behind the camera as I was getting rather tired by the end – and I am quite fit! The kids did so well that filming was completed in record time – even with chocolate biscuit and juice breaks! In fact, the kids were rather disappointed that they’d finished so we had a bit of a muck around – see our videos! We can’t wait for the final product to be published so we can see what it looks like. 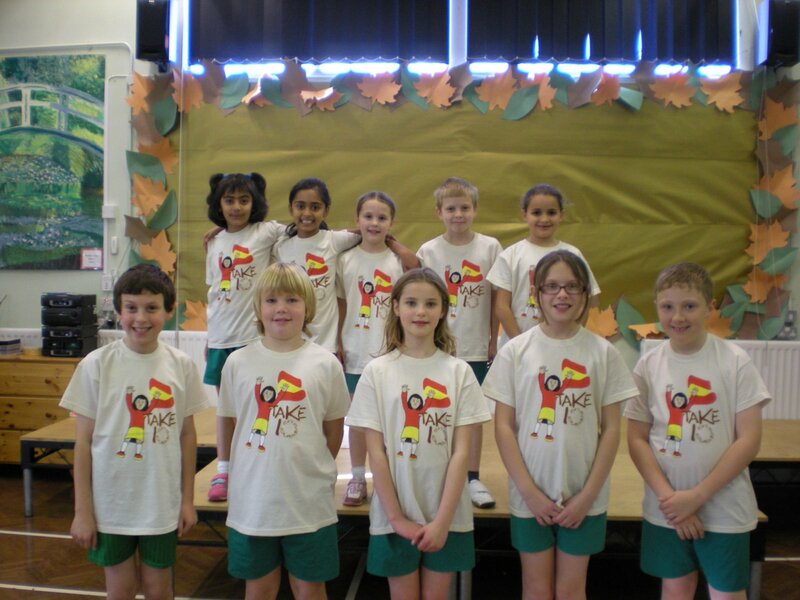 but until then, we have our Take Ten en español T-shirt and photographs to remind us of the day! As soon as it’s available, I’ll let you know as it’s a really good resource and well worth buying for your schools.